Being involved in the preparation of various aviation booklets that chart the county’s diverse aviation history, has led me to various different locations across the county and enabled me to meet a variety of different people. It has also led to contact with local residents who are looking to mark the aviation events that have been a part of or, shaped their local community. Recently I was approached by Ken Ogilvie from Bleasby who has been researching a number of air crashes around the village. He is now leading a fund raising effort to fund a memorial to the Bleasby crashes. 6th February, 1941 – crashed shortly after take-off on training flight – Station Farm, near Station Road, Bleasby, killing all crew members; who are buried in the Polish War Grave section of Newark Cemetery. 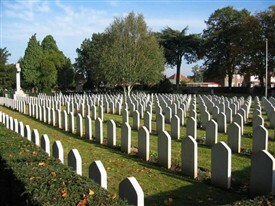 1st September, 1943 – mid-air collision with Lancaster R5698, whilst returning from Berlin raid, over High Cross, Bleasby, Nottinghamshire, killing all crew members; four crew members buried in the War Grave section of Newark Cemetery. 1st September, 1943 – mid-air collision whilst on night training flight with Lancaster JB132 over High Cross, Bleasby, killing all crew members. It is anticipated that the cost of erecting a stone memorial with three plaques inlaid into it would be in the region of £5,000. So far just short of £1,000 has been raised and the village has some ideas for further fundraising which will be developed in the New Year. A Gift Aid form can also be downloaded from the website for anyone who may wish to make a donation. Monetary donations can also be left at the village public house, The Waggon and Horses. 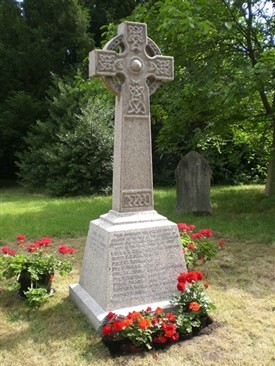 The villagers have already raised the money for the existing War Memorial renovation, and this includes the addition of the name of Wing Cdr William Graham, from the village who was lost over Germany on 9th May 1941, whilst flying a Wellington from 304 (Land of Silesia) Polish Bomber Squadron at RAF Syerston. W/C W.M.Graham was the RAF advisor to 304 Squadron. Lost when Wellington 1c R1473 was shot down by flak on mission to Bremen. W/Cdr Graham, F/O Webb, F/O Lynes, F/Sgt Gear and Sgt Hamilton were all killed. F/Sgt Wady became a POW. There was a third 304 Squadron Wellington that crashed near to Bleasby on 15th April 1941. Wellington R1212 lost an engine during landing and crashed at the edge of Flintham Wood. F/O Rudolf Christman, Sgt Antoni Berger and Sgt Wieslaw Pietruszewski were killed. F/O Galczynski and Sgt Ananowski were badly injured. Sgt Jarosz got away with minor injuries. Antoni, I'll make sure that Ken Ogilvie is aware of your reply and the additional information that it contains. Thank you for making contact with us Sheila; if you send me an email at admin@newarkairmuseum.org and let me have your contact details I will forward them over to Ken for you.